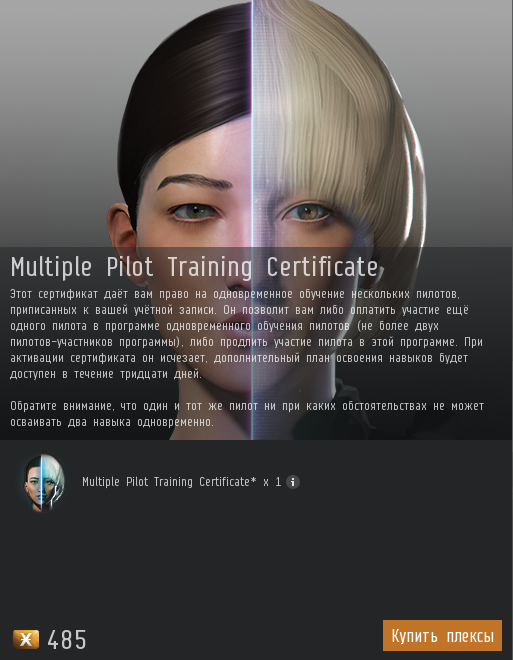 📚 This certificate allows you to train multiple pilots on the same account at the same time. Once used, it will allow you to either activate an additional training queue (up to a maximum of two) or extend the duration of an already active additional queue. 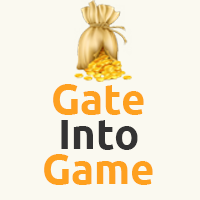 The certificate is consumed immediately upon activation, and its training queue lasts thirty (30) days. 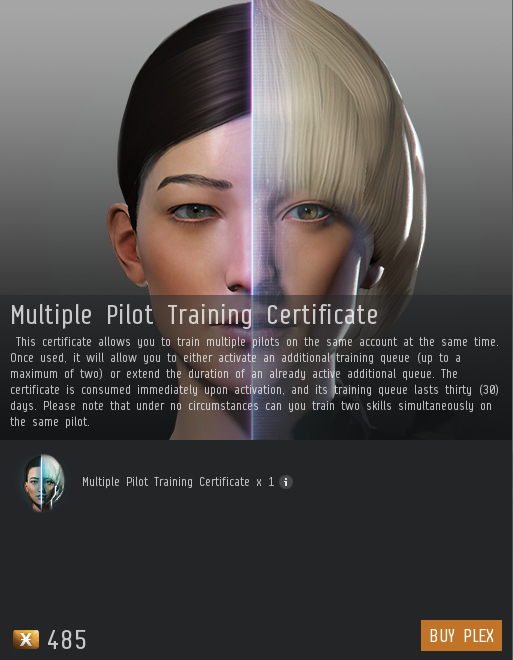 ❌ Please note that under no circumstances can you train two skills simultaneously on the same pilot. After purchase, you will see a PIN-code, you will need to notify us via any of the means of communication (see. Contacts). ⚠️ Warning! To trade (if you choose trade, not a contract or remote activation) You must be at the station Perimeter - - IChooseYou Trade Hub or Jita IV - Moon 4 - Caldari Navy Assembly Plant (unless otherwise negotiated). Multisim - several operators in one sim - map.